I will be the first to admit: I've purchased brownie mix. A lot. Aldi makes a really great brownie mix. 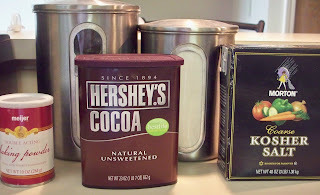 But if you're out of brownie mix and no desire or time to run to the store, or if you're like me and want to pinch those pennies even more and make your own brownies with quality ingredients, you might need a brownie mix. You can always make brownies completely from scratch each time, and we definitely do that now and then. 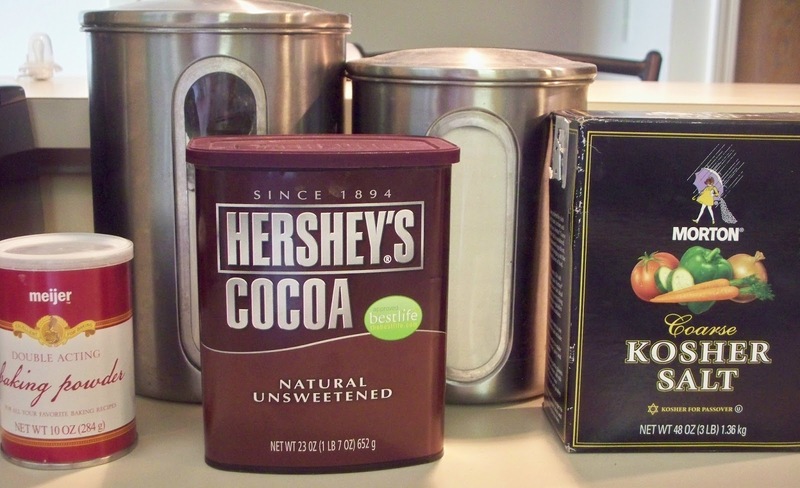 But if we're in a pinch and need a dessert quickly, we turn to this brownie mix. I originally saw this recipe here. Mix all ingredients together in a bowl with a whisk. Dump bagged mixture into a bowl. Add 2 eggs, 1/2 cup vegetable oil and 1 teaspoon vanilla. Spray a 8 x8 pan with cooking spray. Dump mixture into the pan and spread evenly. 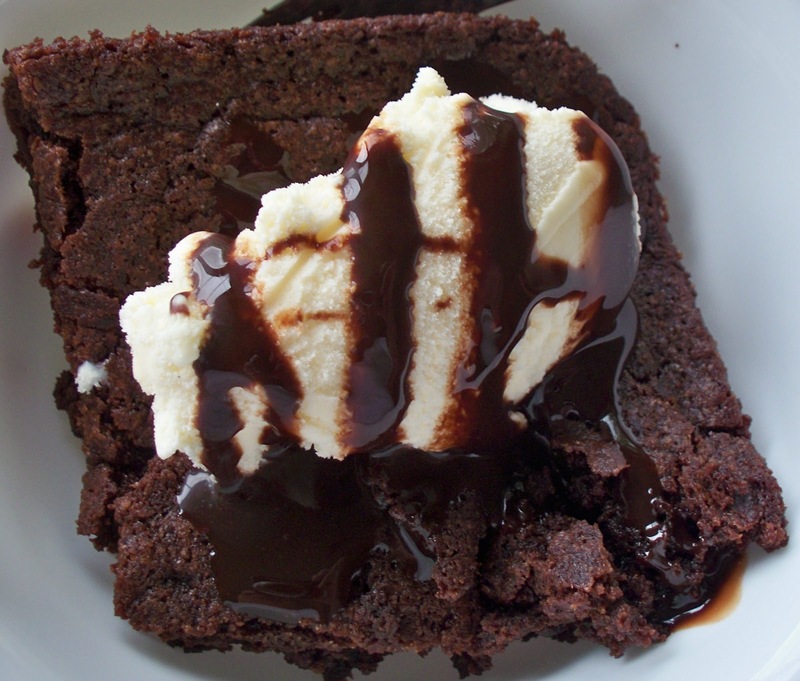 A brownie topped with ice cream and chocolate sauce = yummy!! !